Flowers always make a home seem more welcoming. Adorn your entrance with assorted annuals to keep color year long. Petunias, Salvia, Geraniums, Ageratums, Begonia are all great additions to consider in addition to others. If you have a small space between your house and the street, try putting a low fence in front. It gives the illusion that your house is farther from the street than it really is, and it also makes for a great space for planting flowers and vines. 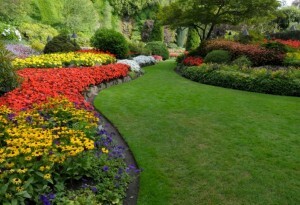 KW Landscaping specializes in making your gardens bloom with color and variety all season long. Consider adding the following enhancing services to your home or business. SUMMER & FALL COLOR PLANTINGS: Our service includes removal and disposal of prior season’s annuals and the installation of new annuals. The summer planting is in May and the fall planting is in September. COLOR PLANTING FEEDINGS: Our service includes FIVE feedings for you summer and fall color. This Organic feeding will encourage larger plants with more colorful blooms. Service is provided April, June, July, August & October. BULB INSTALLATION: Our service includes the planting of our custom bulb collection in the fall for a spring bloom display. To add Color services to your landscape management program please email info@kwlandscaping.com for more information and a quote. 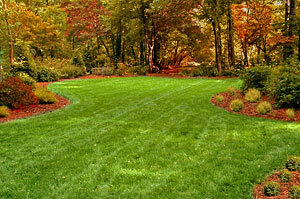 KW Landscaping is currently in the process of renewing all of our landscape management agreements for our clients. The services vary depending on the individual client’s desires and needs however, bed management is an important service to consider adding to your annual agreement. 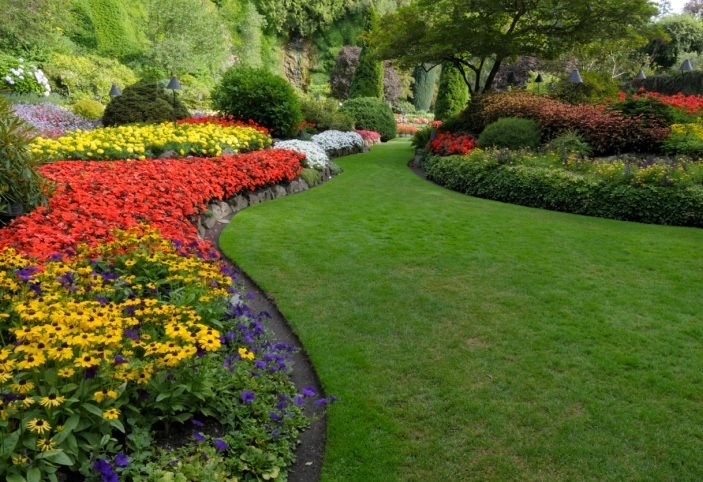 KW Landscaping’s Bed Management service includes weeding & cleaning of all beds and pruning of shrubs, perennials, and ground covers for a manicured look all season long. During our SPRING CLEAN-UP in mid to late March, the ornamental grasses, liriope, butterfly bushes are cut back to allow for this seasons growth. 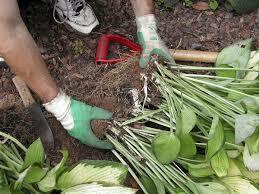 Roses will also be pruned to remove any dead growth that occurred from this cold winter. During the growing season (April-October), the crews will visit the property every two weeks (for some properties weekly), to continue to keep the weeds pulled and plants properly pruned at the right time. The spent rose blooms will be deadheaded as well to promote repeat blooming, this is most commonly needed with the ever popular Knockout Rose. After all the leaf cleanup is complete, the crew returns for FINAL CLEAN-UP and cuts back the perennials to give your property a manicured look for the winter. Service runs March through the end of the season. This service is essential to enjoy your landscape and not to be a servant to it each weekend. Let our crews keep your landscape well groomed all the time by hiring KW Landscaping to provide our Bed Management service. Please email KW Landscaping for more information or to schedule a time for a free estimate. 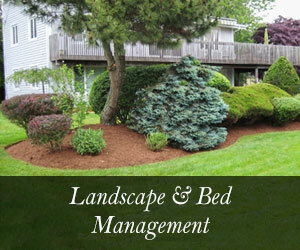 KW Landscaping is currently in the process of renewing all of our landscape management agreements for our clients. The services vary depending on the individual client’s desires and needs however mowing is a mainstay of our landscape management offerings. While it may seem like a straight forward service, there are some factors to consider when hiring a landscaping company to care for your property. Here are items to consider. Decide what you want from a service. Most offer some sort of fertilizing, mulching, leaf removal, aerating, mowing, and small tree and shrub maintenance; Do you need more? Talk to neighbors who use the landscape service. This is a good way to determine which services operate in your area and to get that homeowner’s recommendations. Request a lawn inspection and a free estimate of service costs from the company. Beware of companies that quote guaranteed annual prices without having seen your lawn. Ask about prices and what services are included. Some companies require a yearly contact; others work on verbal agreements that can be discontinued by the customer at any time. Find out what happens if you have a problem between applications. Will there be a charge for these service calls? Check to see if you can save money by paying an annual fee up front. This method is more convenient than paying after each treatment. Some companies offer monthly installments to make their services budget friendly. Understand what services the company is proposing to provide before work starts. Find out what treatments are included, approximately when they will be applied, and what results can be expected. Find out what is guaranteed. Some will assure performance, and others will refund your money if the work is unsatisfactory. Make sure the service is licensed to apply lawn-care products as required by your state. Check with your local Better Business Bureau to find more information on a specific lawn-care company’s service record. KW Landscaping’s mowing service includes edging, trimming, blowing and picking up any sticks or trash. The lawn will be mowed at varying heights throughout the season to promote a healthy stand of grass and compete with weeds. The heights will be lower in the spring and fall to encourage tillering (branching) and higher in the summer to deal with summer stress. Service runs April through October. 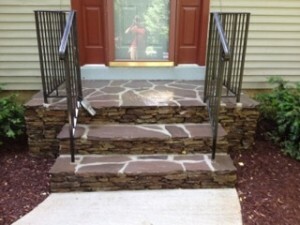 Email KW Landscaping for a custom quote. Its’ official, your summer planters are goners this year. 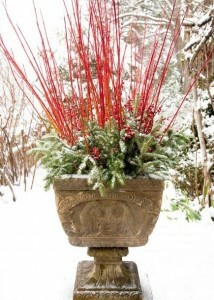 But why not adorn your containers with a beautiful winter arrangement to enjoy now through the spring? KW Landscaping is currently creating beautiful custom winter garden containers and would love to provide a custom winter arrangement for your home. 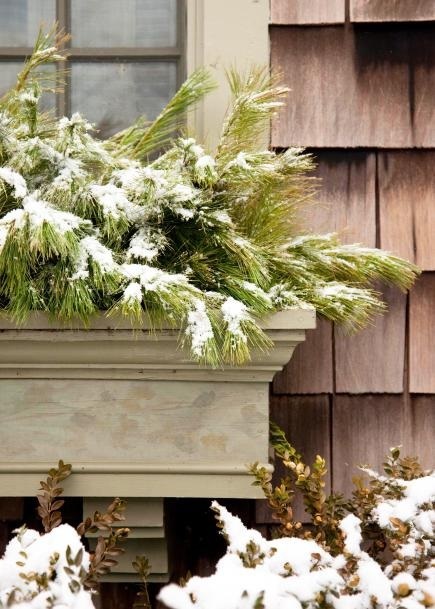 Here are some ideas for inspiration or create a completely original look, either way, it’s a great idea keep your garden containers festive this winter season. Please email KW Landscaping for more information. Spikes and Berries: Cardinal dogwood spikes tower about a Fraser fir and winter berry holly pairing. Simple Beauty: Containers don’t need to be complicated to be beautiful. White pine branches spilling out of a window box are simple yet elegant with a fresh coat of snow. 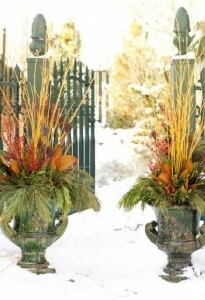 Warm, Earthy Colors: Earthy colors brighten these urns and what’s inside them. This arrangement uses common materials, such as yellowtwig dogwood, red winterberries and the greens of Norway pines, incense cedars and boxwoods, plus unexpected touches: Southern magnolia leaves and kuwa pods (available at crafts supply stores). Try groupings for impact. If one container is good, two or more are better. Urns flanking a door or sidewalk entry add a formal note. On the lawn, patio or porch, group containers with similar shapes or colors in different sizes for a bigger impression. Keep materials similar, but don’t worry about matching exactly. Add white lights to give long winter nights some sparkle. 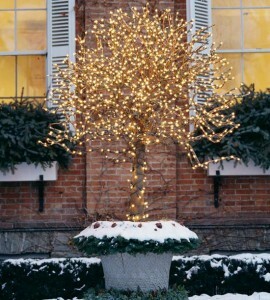 Add Lights: One easy idea for creating a holiday container is to take an already-potted tree and wrap it in lights. Giving it a skirt of evergreen boughs adds extra festive flair. 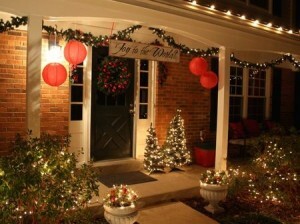 Illuminate your Holiday: Try adding winter garden containers to enhance your outdoor holiday decorations. Build it right the first time – why you need flashing when building a deck or patio. 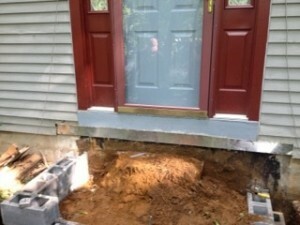 Many homeowners and contractors have pulled off an aging outdoor deck to discover siding, sheathing and framing that’s rotting away underneath. More often than not, a major contributor is worn or missing flashing. 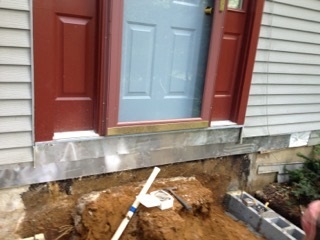 Without flashing, there’s nothing to prevent water from seeping behind the ledger board that connects deck framing to the house. The same can be said for the ledger board and flashing installation for patios as well. Over time, trapped water leads to decay, not only in wood building materials, but even in metal fasteners that hold the deck together. The result is never good, and often expensive and time-consuming to repair. You can count on one thing; water flows unerringly towards the ground. As water travels, flashing carries it safely over the any crevices, cracks and gaps in the building’s exterior. 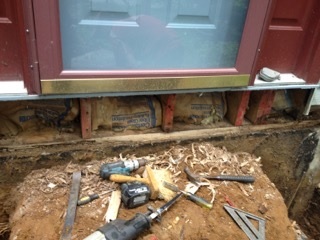 If it’s going to work, flashing must be installed so no seams face uphill. It’s usually layered with other building materials. 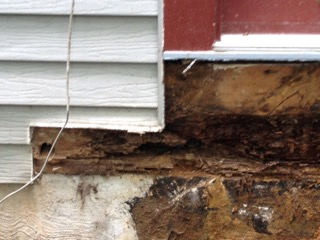 The upper edge of flashing, for instance, is protected by house wrap or tarpaper, not installed over it. If you wonder whether flashing has been installed the way it’s supposed to be, follow a drop of rain water as it moves down the side of your house. It should be carried from surface to surface all the way down, never encountering an open seam or an upturned lip that blocks its progress. When it comes to the deck, a strip of flashing is brought down the wall of the house and over the top of the ledger (the piece of dimensional lumber attached to the house at the edge of the deck). This all-important water barrier should extend up the wall at least 4 in. KW Landscaping will always use flashing when completing your deck or patio to ensure a level of quality that you can rely on for years to come. Email KW Landscaping with any questions or to schedule an estimate. Finished product. 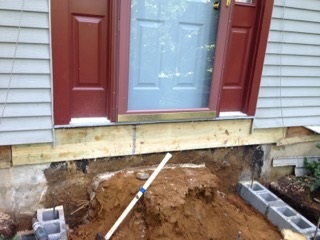 Rot is removed and flashing has been properly installed. Fall is the perfect time of year for sprucing up your perennial garden by dividing and transplanting. The heat of summer has passed, the chances of rain have returned and there is still plenty of time for plants to recover from being moved before the ground freezes. The rule of thumb for deciding which perennials to transplant or divide is based on bloom time. Late summer and fall bloomers are suited for moving in the spring while spring and early summer flowering perennials can be transplanted in fall. Many perennials perform their best as younger or recently rejuvenated plants, so a good rule of thumb is to divide perennials every few years to keep them at their healthiest. There are signs that can tell you it’s time to divide your perennials. When all the growth appears on the outer edges, its time to divide. When it doesn’t bloom as well as it used to and or the blooms are smaller than usual, its time to divide. These indicators are symptoms of overcrowded roots. Transplanting can also be a good solution when you have the desire to change the look of your garden or if you’ve discovered that the perennial needs a different growing environment. 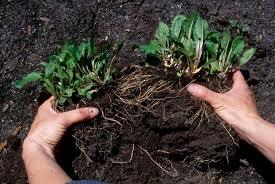 An additional reason for dividing perennials is to increase the number of plants that you have in your garden or to share your perennials with family and friends. Whether transplanting or dividing you should give the plants about 6 weeks before the first hard freeze occurs in your garden so they can be settled in to their new home and ready for winter. One important task that KW Landscaping always does when it transplants and divides is backfill with fresh aged compost to insure a happy plant in its new home. KW Landscaping knows their plants. Allow us to help you reorganize and restore your garden this fall. Please email us with any questions and to schedule a consultation. Have you fed your trees this year? KW Landscaping is beginning their Fall tree hugging treatment, Deep Root Feeding. This treatment is best done in the fall while the soil is still warm and the nights are cool which allows the tree to build its root structure. By fertilizing in the fall, some of the nutrients will have a chance to be absorbed by the roots and will already be in the ground when the roots resume functioning in the spring. 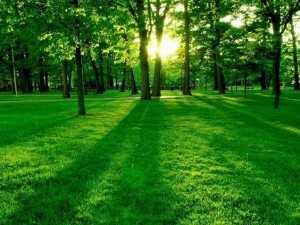 Trees are often planted in poor quality soil. Deep Root Feeding (DRF) adds nutrients to the soil that the tree needs to be the healthiest tree possible. In natural forest environments, soil nutrients are constantly replenished by decaying organic matter from leaves and needles, but sometimes even they need a boost. In urban settings, we surround our trees with concrete or grass, which limits the amount of essential nutrients available to sustain a healthy tree. By limiting and removing the organic matter, we are stopping nature’s natural supply of food to our trees. Lawn fertilizers you may apply don’t make it to the roots of the tree because they are absorbed by grass roots. 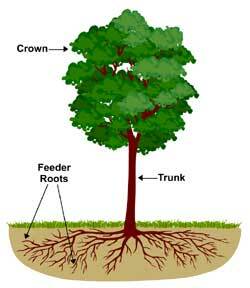 Deep Root Feeding injects water and nutrients into the soil, directly into your tree’s root zone. The root zone is typically no deeper than 12 inches, and is where the tree absorbs most of the nutrients. To feed a tree, we place a specialized probe 8 to 12 inches into the soil, injecting organic nutrients into the soil. The probe is then spun at each injection point to make sure nutrients are spread to all the roots. We continue inserting the probe and injecting organic nutrients every two feet in a circle pattern around the drip line of the tree and a few spots inside the drip line to hit those inner roots, offering the tree nutrients that it needs to grow. KW Landscaping uses an organic fertilizer specifically blended for trees. Besides containing nitrogen, potash, and iron, the blend also contains seaweed which enhances the rapid development of a healthy root system. KW’s blend also contains over 15 species of Endo and Ecto Mycorrhizae and Mycorrhizae Helper Bacteria that trees need for increased feeder root mass, longevity and mobilization of nutrients. 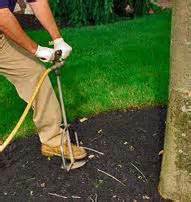 Email KW Landscaping to learn more and schedule your Trees’ Fall Deep Root Feeding Treatment. It’s not too late to book your Fall Lawn Renovation with KW Landscaping but time is running out. September 2nd – September 26th is the ideal time to help your lawn recover from summer. Aerating, overseeding and topdressing with compost are all important lawn chores to be done in September. KW Landscaping would be happy to try to accommodate your home’s lawn but please contact us now to get this scheduled. September is the best time for the Maryland region to get your lawn healthy. The soil temperatures are still really warm which allow the grass seed to germinate faster. The days are cooler which is the preferable growing conditions for Maryland cool season grasses and not weeds like crabgrass. Overseeding lawns in fall reduces or eliminates competition from summer weedy grasses, such as crabgrass and other weeds. Contact KW Landscaping for more information and to schedule your service. Aerating your lawn reduces soil compaction for better root growth and air/water/nutrient absorption. Compacted soils have too many solid particles in a certain volume or space, which prevents proper circulation of air, water and nutrients within the soil. Excessive lawn thatch buried under the grass surface can also starve the roots from these essential elements. Aeration involves perforating the soil with small holes to allow air, water and nutrients to penetrate the grass roots. This helps the roots grow deeply and produce a stronger, more vigorous lawn. In short, aeration makes your lawn greener and happier. Overseeding is one of the most important tasks involved in growing a healthy, lush lawn. 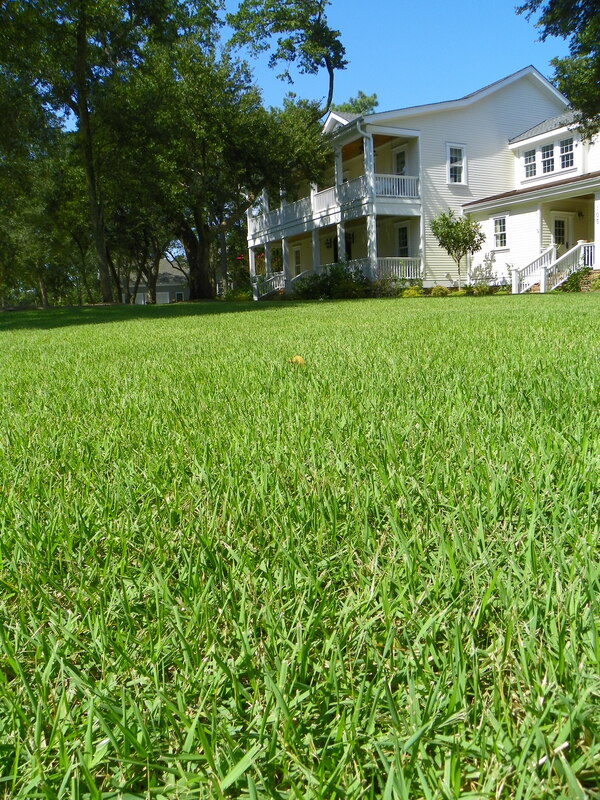 While fertilizing your lawn is important, grass plants slow down their rates of reproduction after a few years. Over time, lawns that have not been overseeded will grow thin and unhealthy, making it much easier for weeds to overtake the lawn. Overseeding lawns consisting of Cool season grasses should be done in September. There are many reasons for this. With fall germination, the young grass will have two or three months to become better established before temperatures drop too low and growth stops. Next spring, the young plants will have another few months to develop deeper roots before the summer heat sets in. Topdressing with compost corrects several problems at their source and allows for healthy soil and grass. KW Landscaping’s topdressing machines allows for an even coat atop the lawn versus the wheel barrow and shovel method of application which will not produce an even coating. The compost application will help to maintain a rich green lawn color through the winter because of the organic matter in the compost. September is the best time for the Maryland region to get your lawn healthy. The soil temperatures are still really warm which allow the grass seed to germinate faster. The days are cooler which is the preferable growing conditions for Maryland cool season grasses.